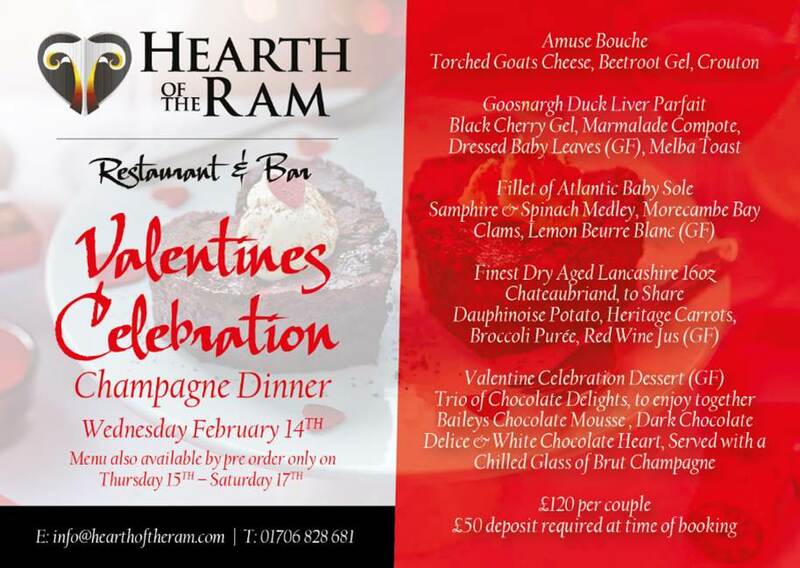 Our Valentines Celebration Dinner includes a delicious Five Course Menu including Chateaubriand and Champagne. £120 per couple, £50 deposit required at time of booking. 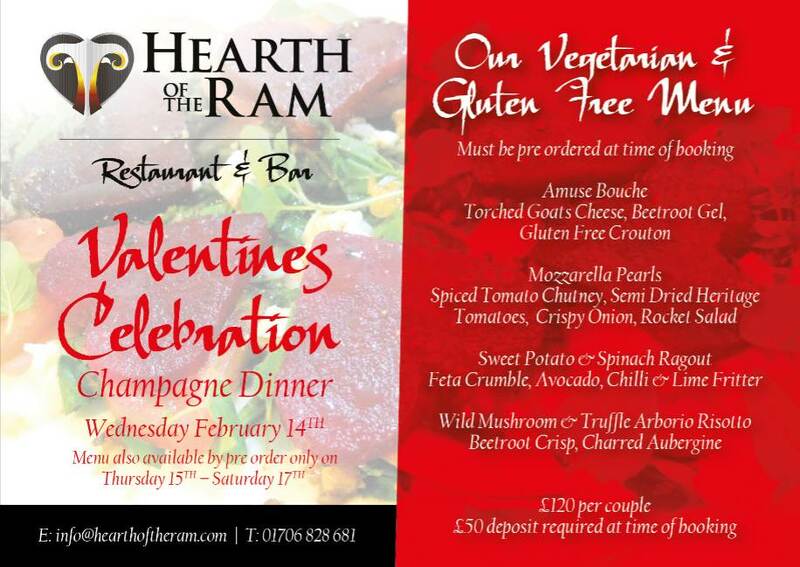 Full Vegetarian and Gluten Free Menu also available. Please advise at the time of booking.